November 9, 2012 Categories Workmy desk, vending machine, workLeave a Comment on Work pictures! 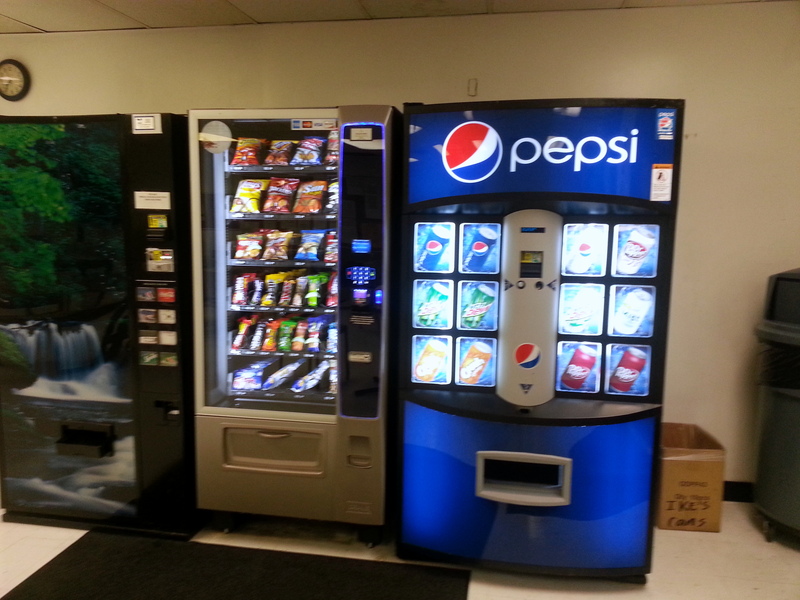 Here is the picture of the vending machines at my work, which I talked about yesterday. The picture does not do the glowing lights justice. But even so, look at those huge buttons on the drink machine! I don’t even like soda and yet I am drawn to touch one. 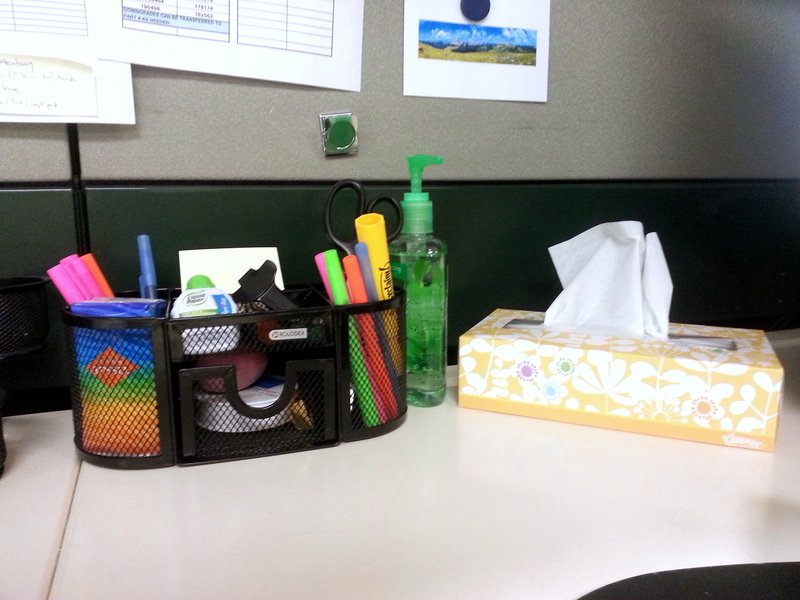 And here is the picture of the new pencil holder/doodad I got today! My coworker surprised me with the pencil case. She had ordered it a week or two ago without me knowing and gave it to me today! It was such a lovely surprise. I didn’t have a pencil holder before. I used to just keep my stuff in my drawer, then last week I started using a styrofoam cup for my pens and high lighters. So this was an awesome part of my day!